Welcome to the Lucky Lamb Publications web presence! Major changes are in the works. Time goes on and people, places, and things, pass out of our lives, and other people places, and things pass into our lives. This is a time for new beginnings. This is a time to broom away the old and obsolete, banish yesterday's influences and doings to the trash heap, and place a heavy emphasis on what is to come. Is it God or is it Science? It is nature or is it the universal higher power that goes by many different names based on many different cultures? Is it here and now, or is it there and then; in an alternate reality, a parallel world? Some call it the Judgement Day. Some call it Armageddon. Some call it the Apocalypse. 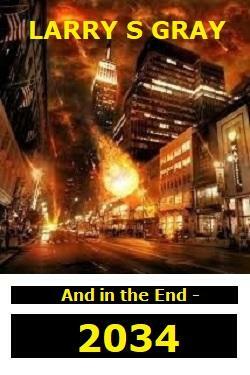 Some simply call it the end of the world... Some blame God, some blame His opposite number. Some blame mankind. Some blame fate. Some may call it... a necessary thinning of the herd. Some say it will be global nuclear war. Some say it will be a global disease, a killer virus without a remedy. Some say it will be a string of global natural disasters, floods, fires, storms, earthquakes and the like - such as what seem to be occurring through the summer and fall of 2017. Whatever you call it, and whatever the cause, it's coming. The only real question is... when? will be available in both physical and digital formats. Read it - before it's too late! and will be available in Paperback in 2019! Download it now on Kindle! 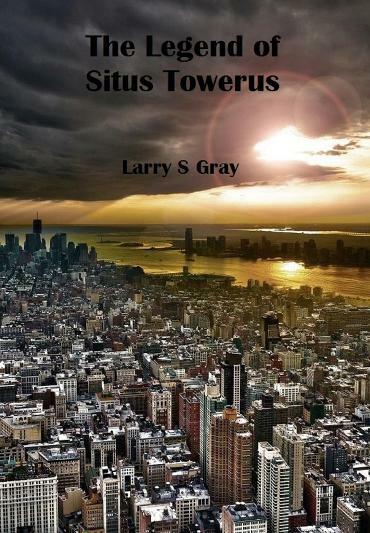 Thriller and horror sage Larry S. Gray tries his hand at a new (to him) genre, that of “Florida Weird.” Masters of this genre, such as Tim Dorsey and Carl Hiassen, have had an impact on Gray during his time spent in Florida, and have inspired him to join in the fun... The result is The Restless Spirit of Palm Castle, a rollicking tale amusing and weird, irreverent and gross, but most of all, just plain funny. Fun, frolic and craziness in a Florida accounting office and at the camel-piss bar down the street. Palm Castle is home to a place where working and drinking afterward takes on a whole new meaning. This is the story of eccentricity and strange doings in the office of an accounting/tax preparation firm in central Florida. And even stranger doings in the bar down the street… Say goodbye to the stereotypical boring, stuffed-shirted, dull, lackluster folks who populate your average, everyday accounting office. Now it’s time to meet the zany, madcap, wacky folks who run H. B. Abercorn Tax and Accounting Associates of Palm Castle, Florida. The bar down the street, the Blue Midget Taproom, where all kinds of ungodliness gets mixed in with the liquor, beer and wine. From neighborhood bums who drink themselves into a stupor, to otherworldly beings named Zarephat and Skinjob, to a bartender named Earl who has seen it all and then some, to everyday folk just after a quick beer, this is a place to check out. Especially on Saturday nights…with live music happening in the front, and a popular but politically incorrect sport now banned in Florida going on in the back. NEW BOOK ALERT # 3 !! NOW AVAILABLE ON KINDLE, a great book on the subject of growing up with bullying, that includes a great deal of rock & roll history, facts, and anecdotes which blend in amazingly with the flow of the story. 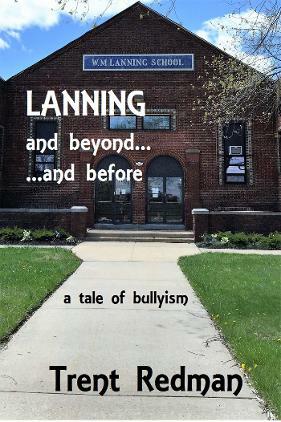 Entitled Lanning - Before and Beyond, this book is an amazing story of a boy and his tumultuous early years, and how far some kids can take cruelty and bullying. Also about what happens when he starts ruminating about it later in life - it is strange, it is scary, and it is sad. The latest offering from our own Trent Redman, and his first work of fiction, this one will definitely strike a nerve. Don't miss it. 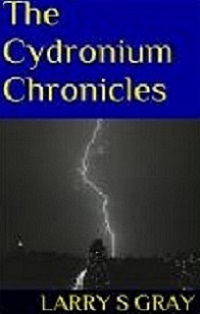 is now also available in multiple e-book formats via Smashwords and Kindle. This one is such a powerful piece of writing, it has it's own page. 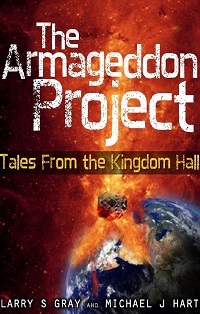 Be sure to click on The Armageddon Project tab for the full experience. Also be sure to visit the Other Great Tales page for access to the rest of Larry S. Gray's excellent offerings. And don't miss the Future Works page, to see what's coming down the pike, some great stuff you are just going to have to read! Don't miss this intriguing tale of government experiments gone wrong. Set against the backdrop of the final two decades of the twentieth century, this story follows four aspiring young rock musicians who are accidentally exposed to the chemicals used in this clandestine government-sanctioned science experimentation. Precognition through chemically induced dream-states results from the exposure and ongoing tests are performed by a devious agency, conducting unorthodox experimentation in some highly strange fields. This is a detailed account of what can happen when the human mind is tampered with. Book 3 of Trent's Down the Shore series! The fourth anniversary of Hurricane Sandy has come and gone. While I agree that is nothing to celebrate, it does bear mention, if only to commemorate how much has been accomplished since that fateful day back in 2012. The second and third post-Sandy summers are long over, and the Shore is thriving! Don't miss this next in the Down The Shore series. A few more fun tales from the author’s life and times at the Shore, an update on the progress made, and a special section dedicated to this past summer, when Trent and his people turned back the clock and rented a summer bungalow and cut loose like it was the old days, along with some little known facts and figures about the Shore and it's environs. Other tidbits “Shore” to please and entertain. Look for the condensed version, all three volumes in one book, with some new material from more recent days, in time for the summer of 2019. Available Memorial Day Weekend, to kick off the summer! Released on the first anniversary of Hurricane Sandy, this second in the series will keep you entertained and wanting to visit! The Kindle version - http://www.amazon.com/dp/B00GBHWPUE - is now available for $2.99. A bit higher, yes, but the more we earn the more we can donate. 2.99 is the point where Amazon doubles the royalty, thus while the price of book is triple the first one's 99 cent price, this price will actually multiply the donation amount by six. And for those of you who haven't yet enjoyed Volume I, just scroll down, you can still grab that one for 99 cents! 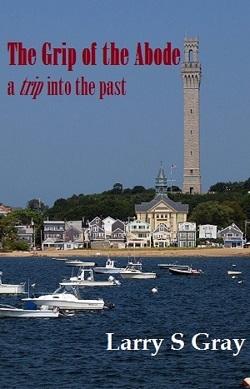 Reduced to 99 cents for summertime reading! Don't miss it! ... a tale of an ongoing struggle in one man’s mind. The twisted mental journey of a troubled but intelligent and resourceful fellow. He is a survivor and a loser, he is defeatist and a winner, he is at once extremely intelligent and amazingly stupid. He is genius, he is insane, he is idiot, he is noble. He is all over the place and at the same time totally contained in his own little capsule. You will read of joy, despair, love and hate, depression and regression. You will see anger, love, peace, turmoil, confusion and distraction. You will see mayhem and chaos, and structure and solidity. Above all, though, throughout, you will see hope. Hope often crushed and blotted and trashed, but hope that always shines through. Unable to afford therapy, he does the next best thing. Sits down at his laptop and let’s his troubled mind vent to the printed page. No appointments, but whenever the need is great, the pseudo-couch is open for business and the keyboard is his doctor. No filters, no holding back, this to him is like a vomitous purge. This is a one-way conversation with an imaginary psychiatrist, as he struggles to get it all out, figure it all out, put it all together and, hopefully, fix it. Make it all work. A psychological thriller of high intensity! Update: Due to the enormous length of On the Edge and my reluctance to cut too much from the main story, On the Edge will instead be released as a trilogy. Three separate volumes of mental mayhem. The wait for the first part is diminishing, so prepare for an experience! 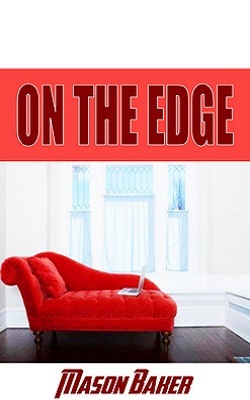 On the Edge, Volume I, is now available for upcomimg summer reading, grab it now! If you are not grateful for everything you have, you will be after reading On the Edge. If you think you have much to complain about, you might change your tune after reading On the Edge. If you think life is unfair, On the Edge will remind you that is absolutely correct. A combustible mix of horror, psychological thriller, and science fiction, On the Edge will make you look at yourself, your family, and your surroundings, in an entirely different light. It's not mushy, it's not sappy, it's not romantic, it does not offer the proverbial happy ending. It is harsh and forceful, frightening and volatile. It will make you think twice about things. Another Featured Book! Don't miss this one! The first of the ongoing Down the Shore series. Lucky Lamb Publications is back! This is the original and first - the great first story by Trent Redman! Buy on Kindle - download immediately - only 99 cents! A story about fun and good times, and about a place that is special to millions of people. Life has been severely disrupted here recently, and the author hopes that this book will serve as a reminder that, even in the face of disaster, our memories are wonderful things to have. So this little book is all about fun, good times, parties and great places to be. Sprinkled in among the anecdotes are some true statistics and some reference to the popular music as it related to the times when these events took place. Most of what you are about to read here happened in the late ‘70s and early ‘80s, though it does follow through straight to the present day. So sit back and relax, and have a good laugh, or maybe a good shake of the head. Take a ride with me down the shore; walk the boards, stroll the beach, ride the rides and revel in the music of the times, while I share some truly fun experiences with you. A brief foray in the future, 300 years hence. A startling secret is revealed to an intrepid, rebellious explorer, who ventures into forbidden territory against all warning, and under fear of death. A story short but powerful. of did I? Did frogs really rise up and overtake a beach, a neighborhood, the city of Hyannis, and then march right back into the sea? Overactive imagination? Lucid dream? Insanity at 22? In this twisted little tale you can have the answer in just minutes! In a Provincetown bar, things are not what they seem. Or are they exactly what they seem? Time appears to have stopped in this bar, a long while ago, while outside time marches on. A psychological thriller that considers the fabric of time to be bent and twisted in this particular place; and that time can be flexible, a mental concept of startling proportions. Coming soon and don't miss it; something new and different. An e-book on the controversial subject of reincarnation. A strong discussion of the pros and cons, the hows and whys of it, answers to some of your most pressing questions. Don't believe in reincarnation? That's ok, too; it still remains a fascinating subject, fact or fiction, real or not. Take a look! 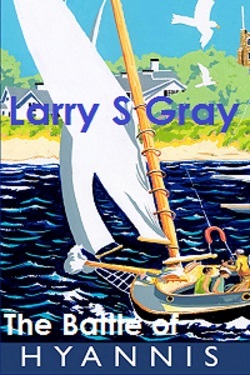 Larry S. Gray is a student of life who loves to tell a good tale. Born and raised in Trenton, NJ, he now resides in Port Orange, FL, with his family. He is an avid reader who enjoys rock music, baseball, beaching and exploring. His material is interesting, compelling, thought-provoking and, at times, just downright weird. His subject material includes mind-control and religion, time travel and ghosts, with a little humor sprinkled in for good measure. He is hard at work on several new projects, yet more interesting tales that will keep you up late into the night and disturbed well into the morning. 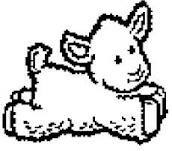 Lucky Lamb Publications was founded in 2002 in Lambertville, New Jersey, by author Larry S. Gray, as an outlet for Internet sales of his fiction works. 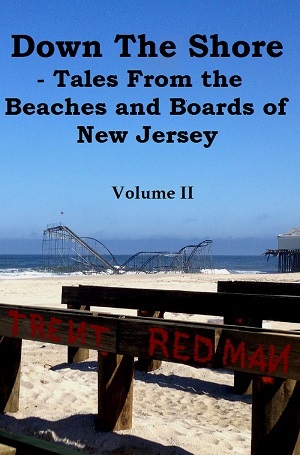 The latest books by Trent, written following the events of hurricane Sandy, are now available on Kindle, on Amazon.com and at the CreateSpace website bookstore. 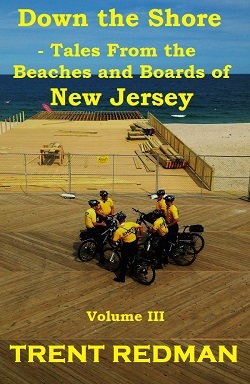 Available at selected bookstores along the New Jersey shore in the summer, but there is no need to wait, grab your copies online right now! 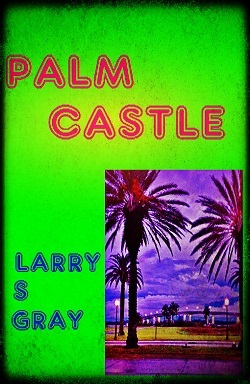 The latest books by Larry are available at Amazon.com, on Kindle, and in multiple e-book formats via Smashwords. New material by Mason will be available the same way; Amazon.com, Kindle and Smashwords. Don't miss the great works by our newly affiliated authors - Amy Crimi, James B. Riverton, Brenda Cook, Mike Hart and Pavlina Osta, available the same way. Be sure to visit our Rising Stars - New Authors page! Trent Redman is the philosophizing mental stimulus behind the interesting tales and adventures produced here. He loves to expostulate on religion, politics, music, his homeland, and all things strange but true. Think Stu Redman and Trent Reznor… more on that later. Trent was born on October 22, 1975 in Trenton NJ. He graduated from Ireland Private School in 1993, and was from graduated Princeton in 1997. He began working at Lucky Lamb Publications in 2003, ghostwriting the tales that would ultimately turn into the books that Lucky Lamb would eventually publish. He is interested in women, he leans to the right politically, and he drinks egg nog year-round from a mug that proclaims “Man Created God." He likes Nine Inch Nails and Stephen King's The Stand. He likes the Robert DeNiro movie City by the Sea, filmed in 2000 in his hometown of Asbury Park. He likes House and The Sopranos, but he does not like Jersey Shore. He believes that Dr. House should have guest-starred in a few episodes of The Sopranos, and vice versa. 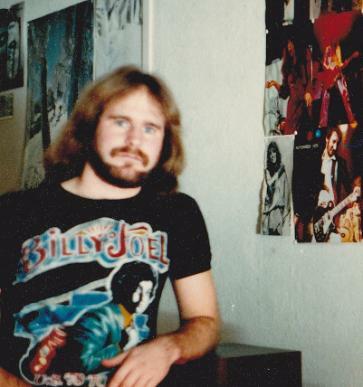 He listens to Bruce Springsteen and Jon Bon Jovi and Frank Sinatra, a trio he considers music's high holy trinity. He thinks New Jersey should split into two full and complete states. However, not into North Jersey and South Jersey, but rather into New Jersey and Jersey Shore; Jersey Shore to consist of Monmouth, Ocean, Atlantic and Cape May counties; the new New Jersey to keep the rest. He buys meat at Glory’s Discount Market in Jackson Township and drinks beer at the Sudsy Mug Saloon in Neptune, not places you'd expect to see someone with a Princeton pedigree patronizing. He is heartbroken by the events of October 29-30, 2012, and not too thrilled by the singular event of November 6, 2012. 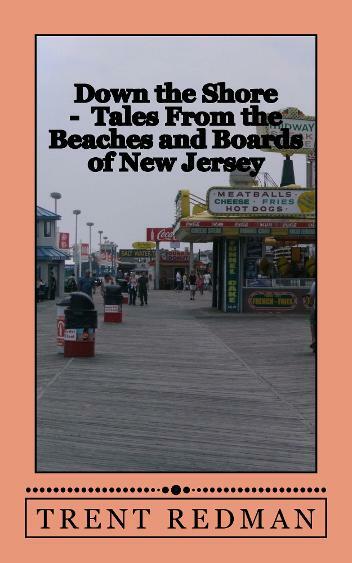 Thus sprung the cool little book Down the Shore - Tales From the Beaches and Boards of New Jersey. He has no (current) intent to write about either election, that of 2012, or the more recent experience of 2016. He is the source foundation for the opposing actuality of a decision that was made on October 16, 2001, and finally carried out on July 13, 2004. He consumes a large amount of Pork Roll, eating it with American cheese and ketchup, with eggs and mushrooms, and with cheddar and mustard. Or just plain, fresh off the slab and out of the frying pan. But for the power of the Internet, Trent Redman would literally not exist. And with all of his wisdom and knowledge, he remains on a never-ending quest to broaden his mind and the minds of those around him. He is the essential silent partner of his boss, the guy who runs Lucky Lamb. What we didn't know was this: His full name is Phistus Remington Redman III. He is descended of Scottish sub-royalty, all the way back to Viscount Alexander Gray Redman, the Viscount of Ulg Invergarry; and Earl Dillingham Gray Sagamore Redman, the Earl of Dun Ringill. Both the Redman and the Gray clans roamed the Scottish highlands for centuries, and brought the names to America when two Redman brothers, those named James and Lawrence, and one Gray cousin, he named William, passed through Ellis Island in September of 1925.